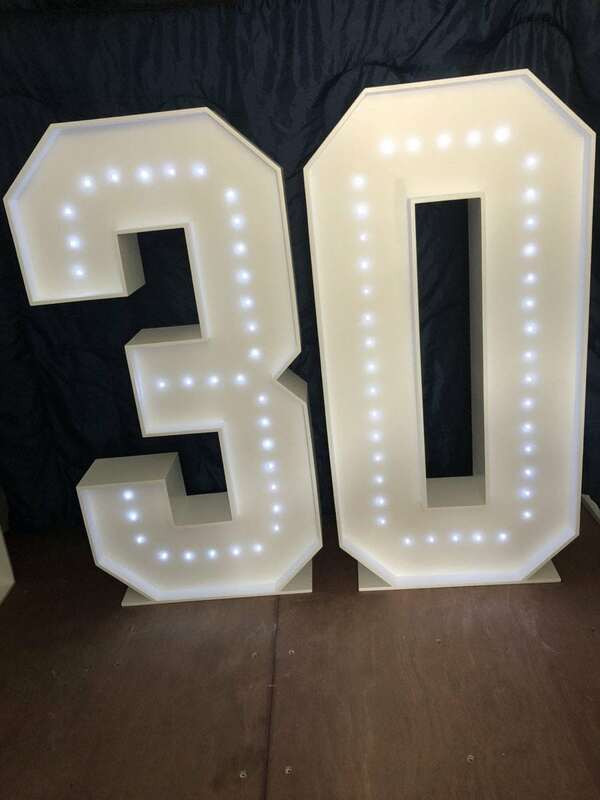 Looking to hire giant letters for your birthday party, wedding, engagement or anniversary? 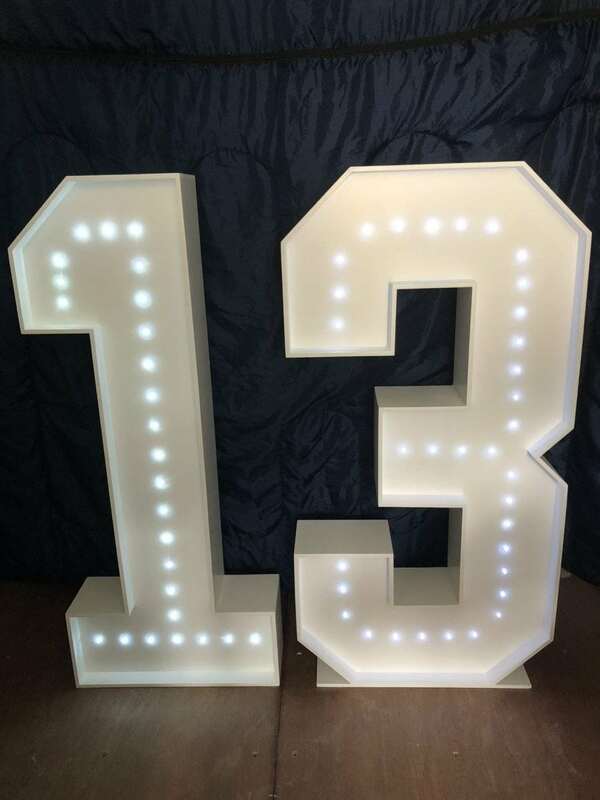 Platinum Discos has a huge range of 4ft and 5ft tall giant letters that can spell out your name or your initials etc. 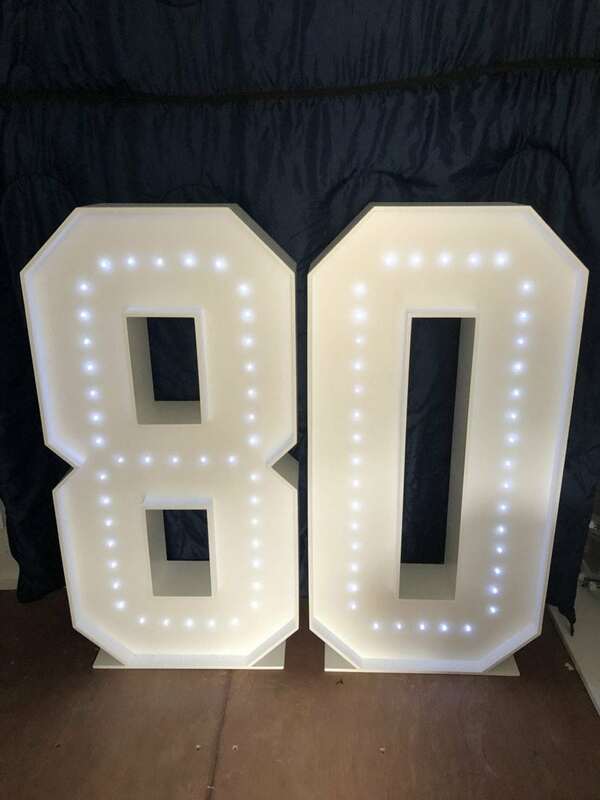 When I first saw these at events where I was the Dj I didn’t like them as they were always so bright they lit up the whole room and ruined the ambiance. I wanted to find an alternative to these super bright items. 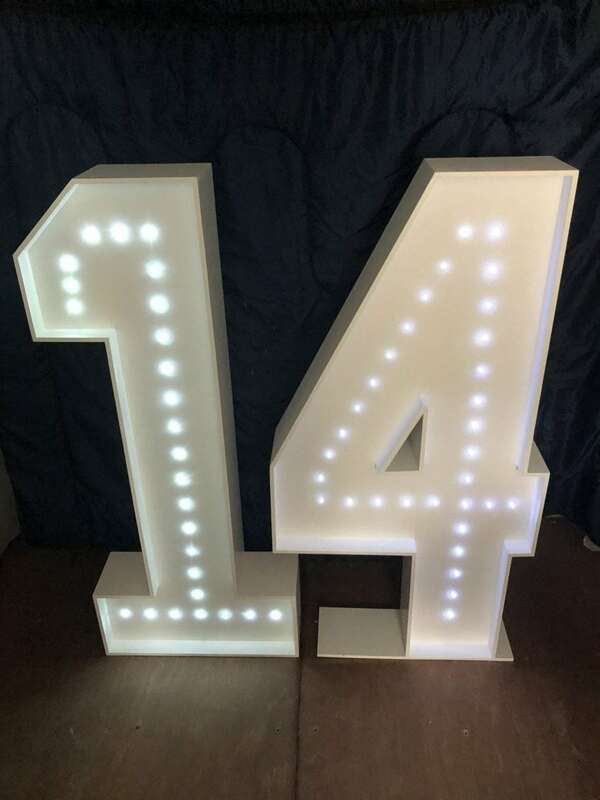 After doing lots of research on line I found a supplier that made them with strings of led lamps and not the super bright incandescent lamps everyone else used. 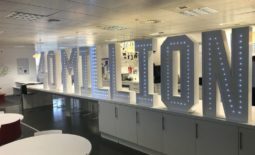 After ordering my first set of “LOVE” letters I was sold. 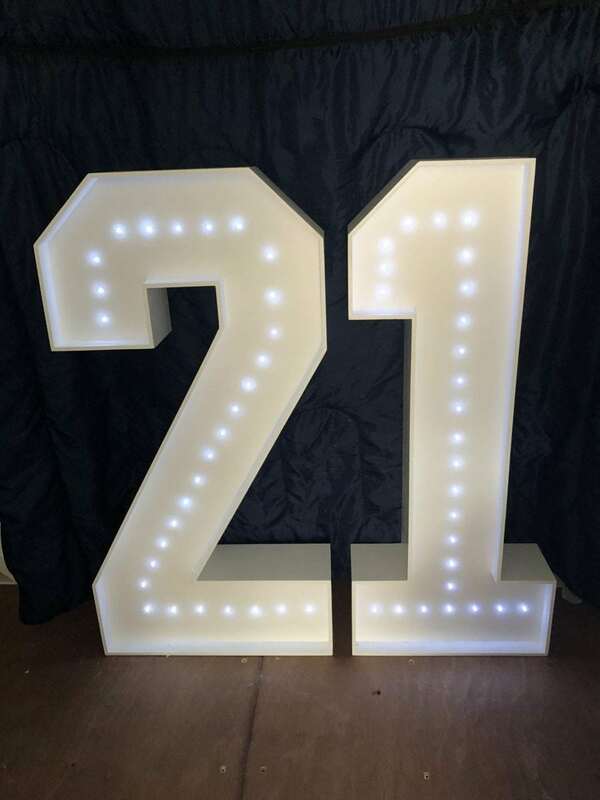 They were battery powered and this was great as that meant they were extremely safe to hire out and also that they could be put anywhere, even outside. 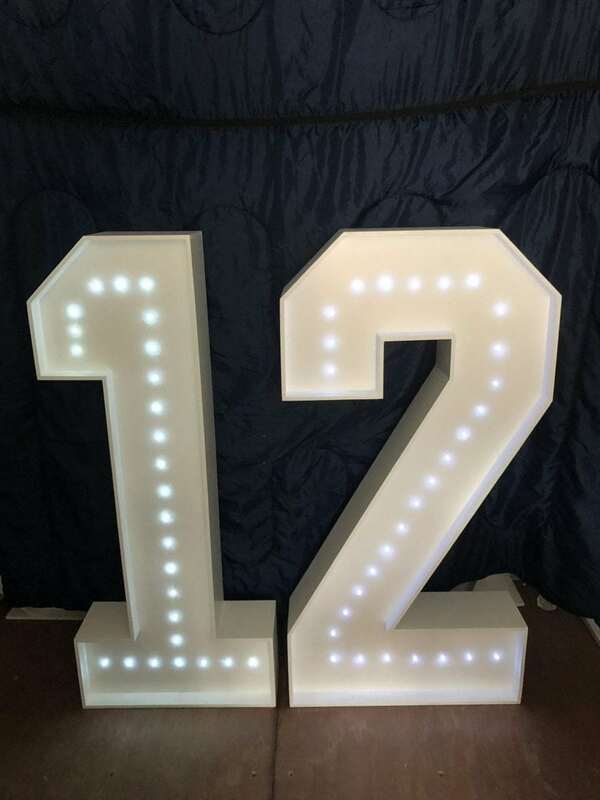 They were extremely well made and he became the supplier of all my giant 4ft letters. 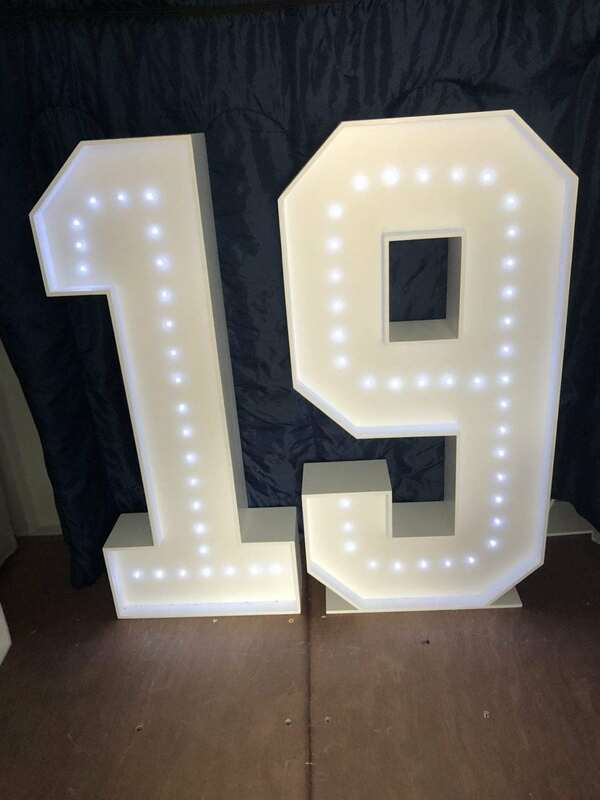 I now have all the numbers from 0-9 and duplicates of the popular ones. 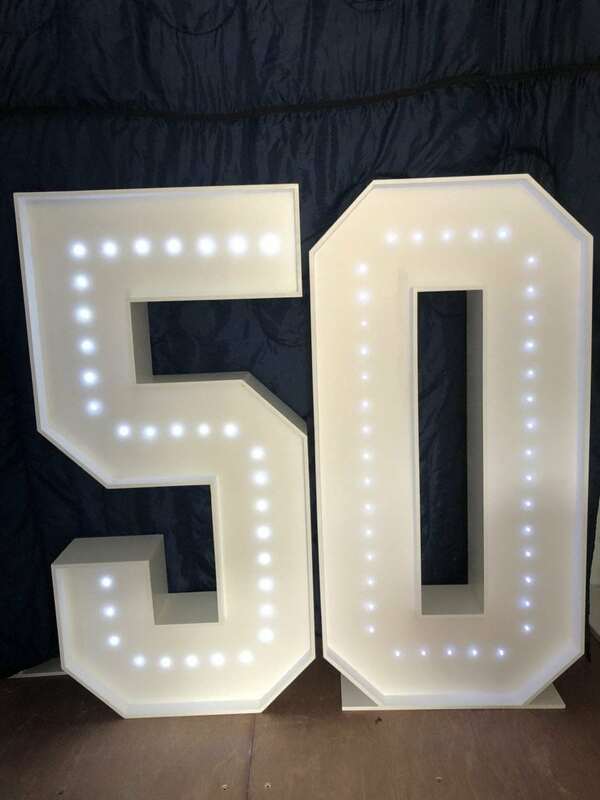 4ft tall giant letter hire. 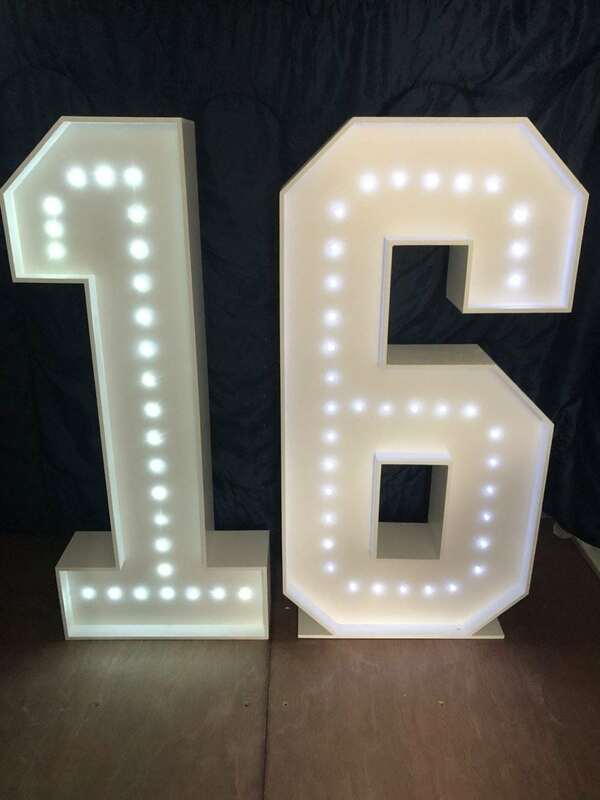 4ft tall giant letters saying “16” ideal for a 16th birthday. 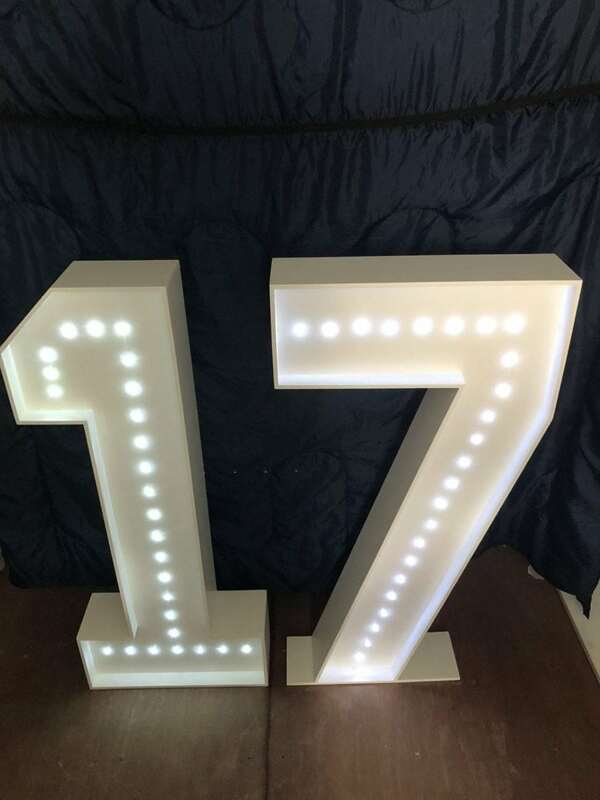 4ft tall giant letters spelling “17”. 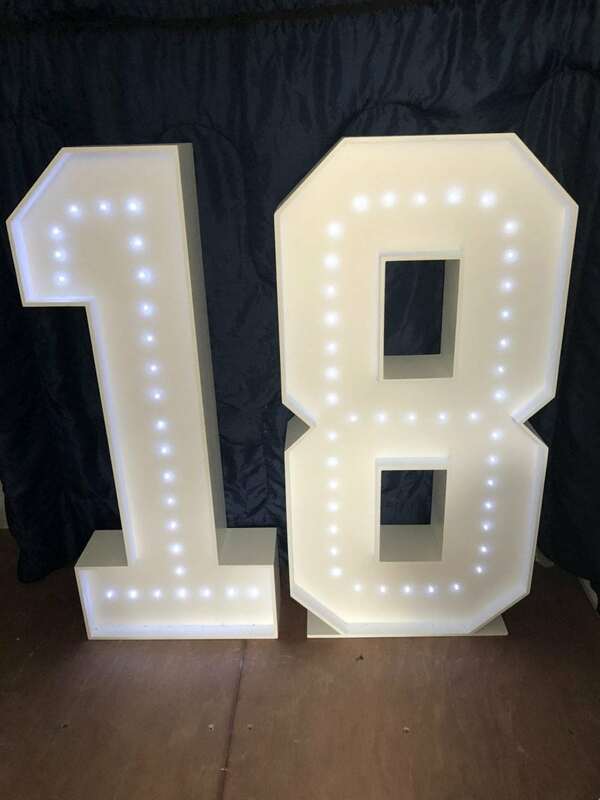 “18” in 4ft tall giant illuminated letters. 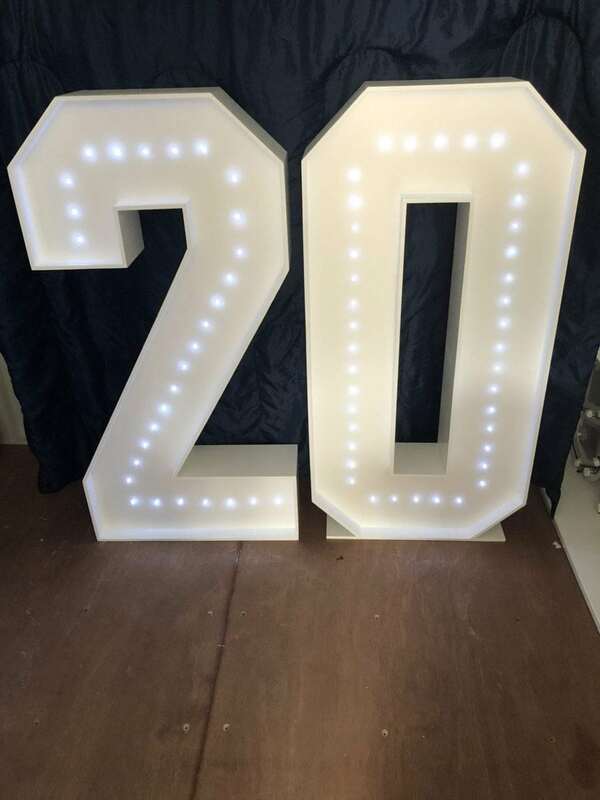 “20” in our 4ft tall giant letters. 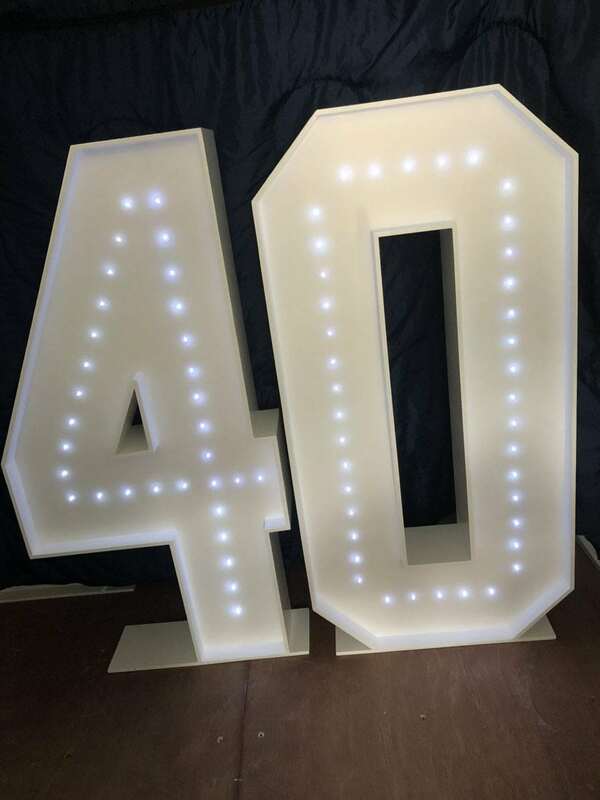 4ft tall giant “40” for a 40th birthday party. 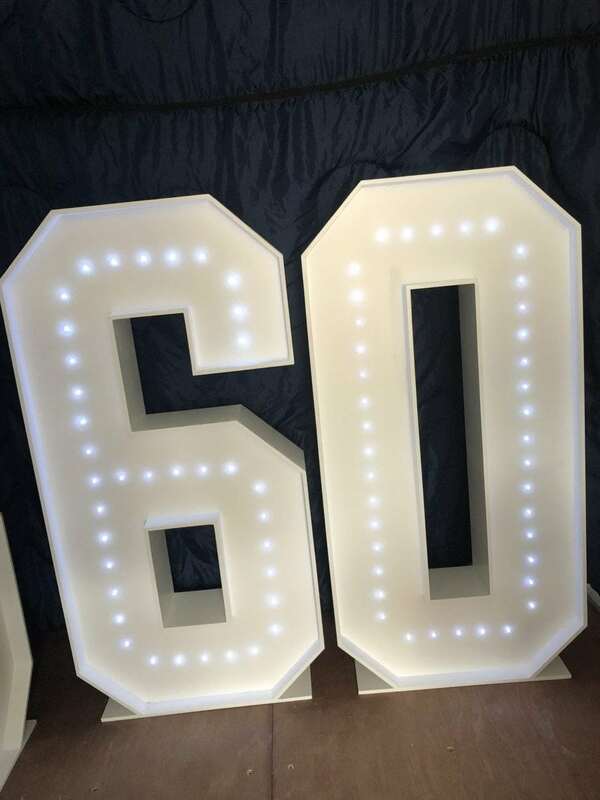 4ft tall “60” illuminated giant letters. 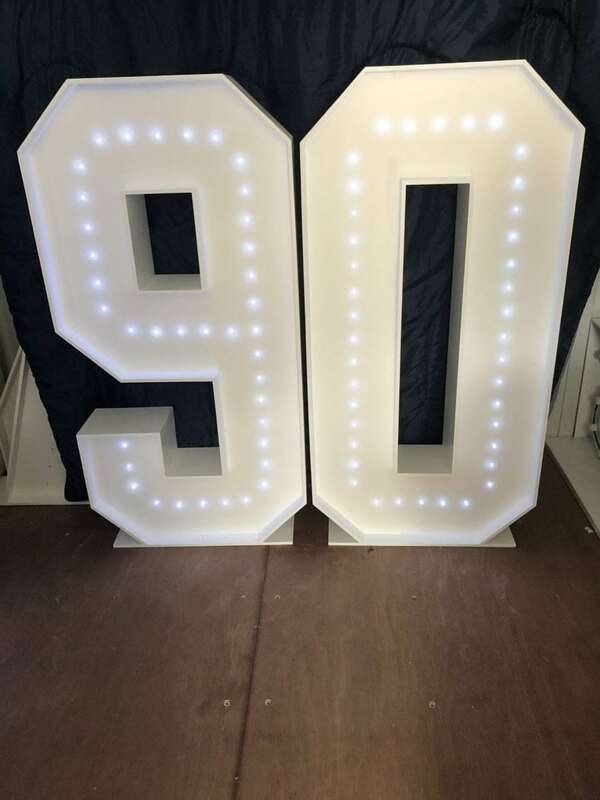 Our 4ft tall giant “80” looks fantastic. 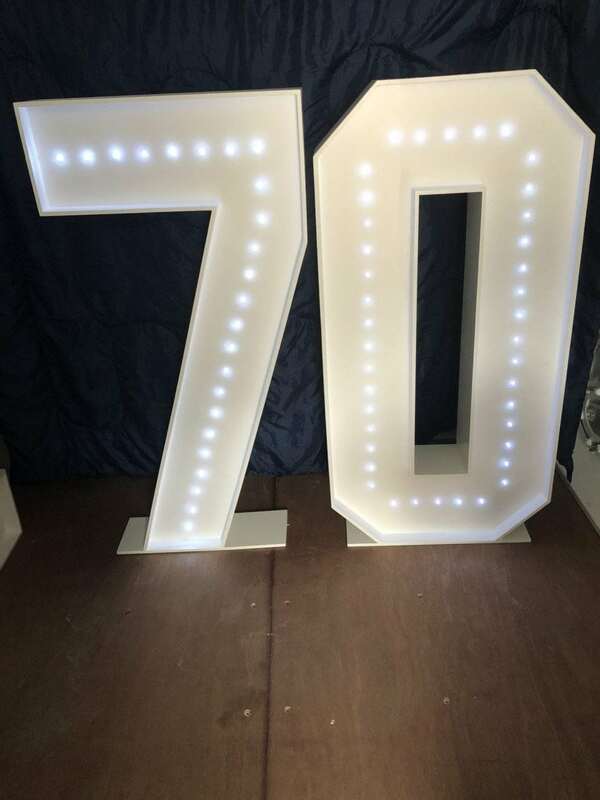 I also provide lots of 4ft tall letters not just numbers. 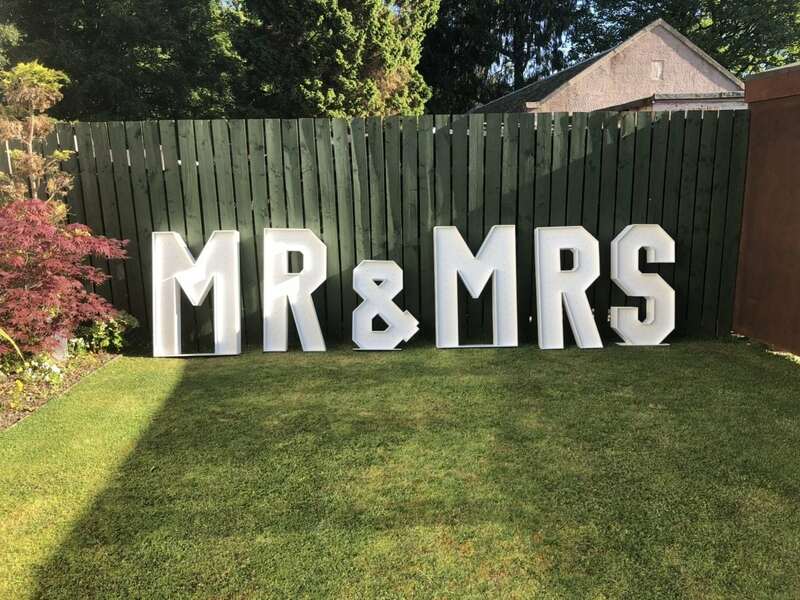 4ft led battery powered Mr & Mrs letters at The Parsonage Airth. 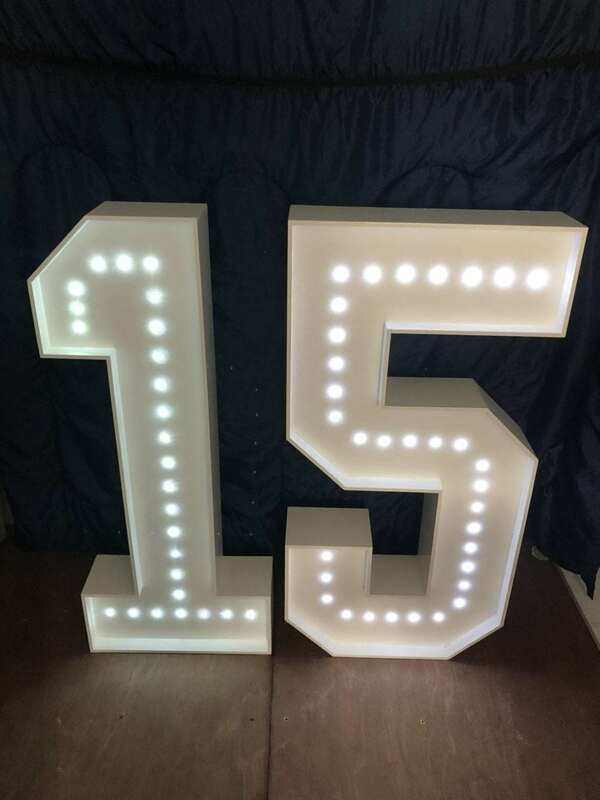 5ft tall giant love letters. 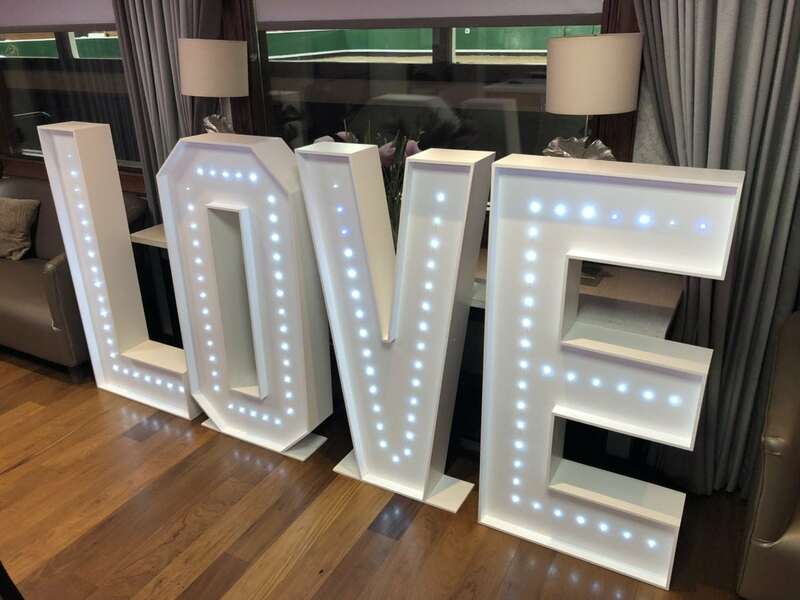 4ft tall led battery powered “love”letters. 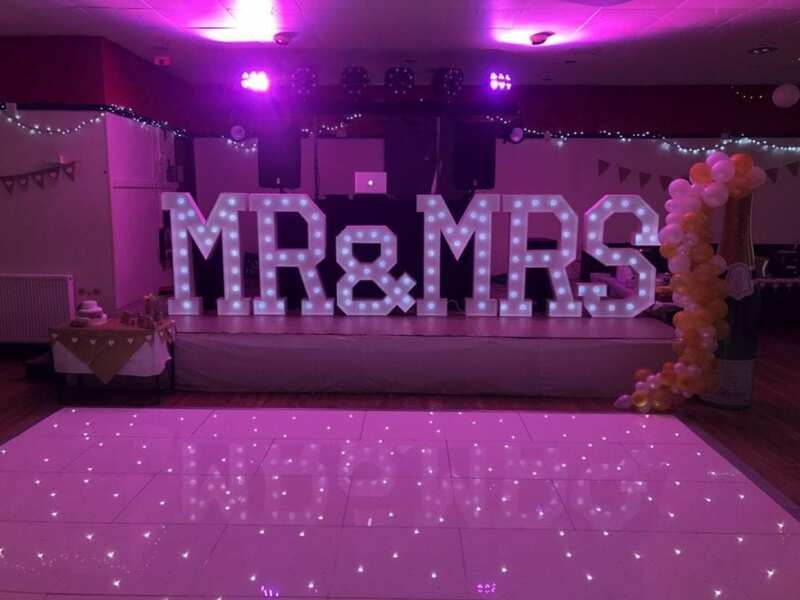 Mr & Mrs letters and white LED dance floor. 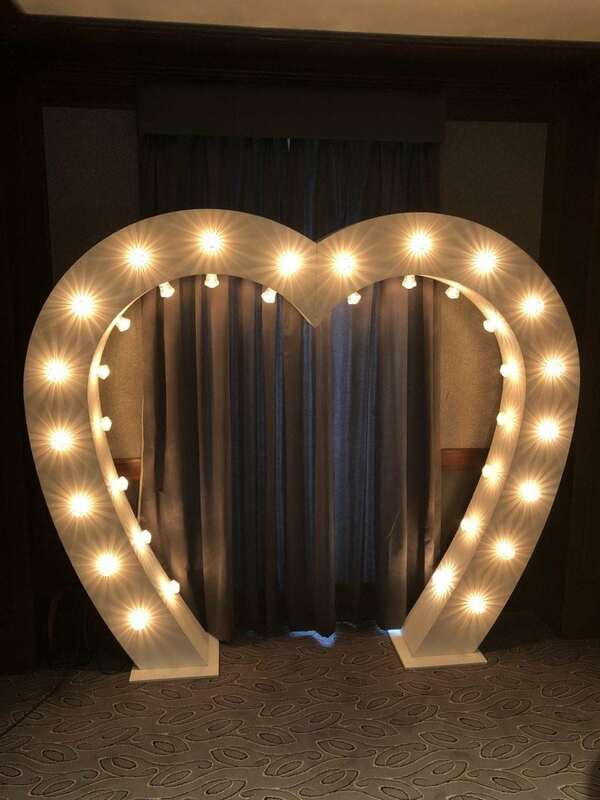 7ft tall love heart arch. 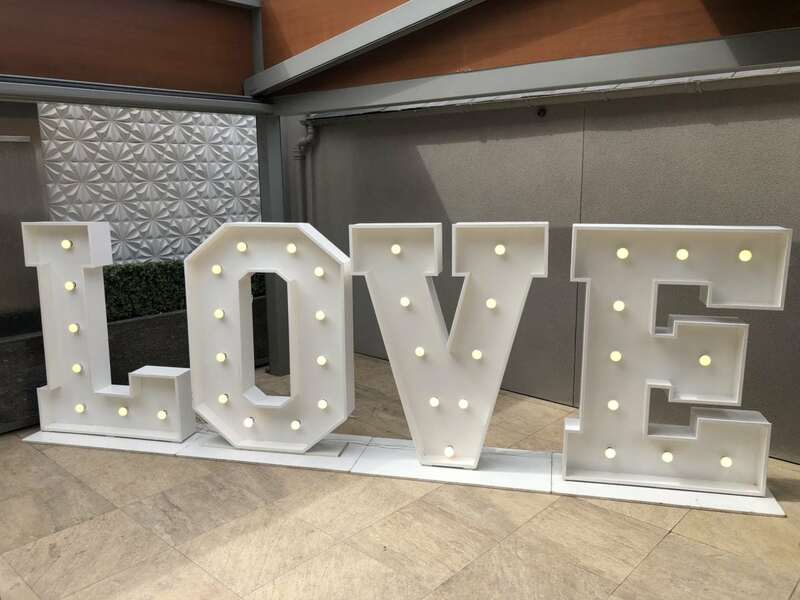 The 7ft tall heart arch is very popular for wedding ceremonies and can be moved after the ceremony is over so you can have more photo opportunities. Please fill in my contact form and let me know what you need. 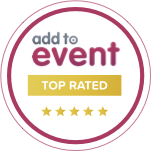 If you are going to hire a Dj for your party and you’re also looking for any of the above you’ll get a great discount as part of a package deal.